Japanese tuners from DAMD created a tuning program for the new generation Suzuki Jimny SUV. 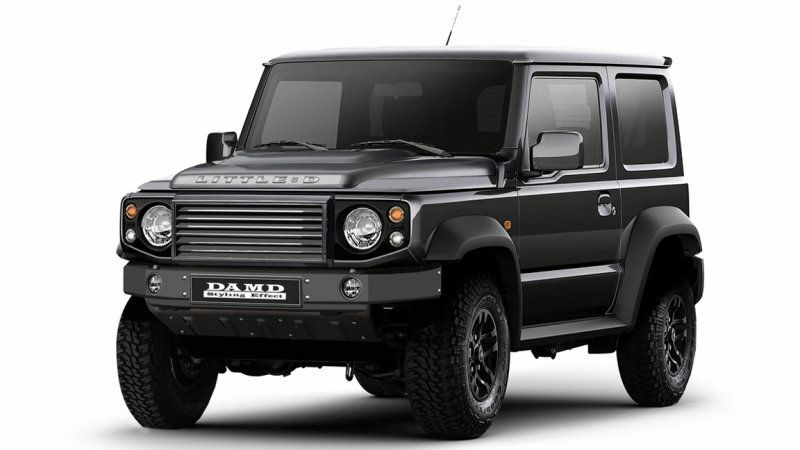 After the innovations, the car resembles a mini Land Rover Defender. Jimny left himself a classic body but added certain elements with advanced technologies. Jimny Little D had noticeable innovations in the front, as well as on the bumper. If you take the overall plan, the SUV is not completely said goodbye to the square body design. Regarding the cabin, the DAMD showed nothing. Sales of tuned Suzuki Jimny Little D will begin next year.